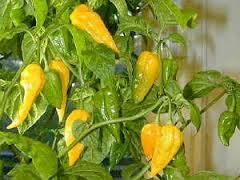 Organically grown 'Fatali' hot peppers are good and hot. Known for it's fruity, citrus flavor with a searing heat that is comparable to the standard Habanero. 4-5 yellow/green hot peppers to a bag. Epsom Salts - 1 lb.